Click here for a schedule of TCAN Players performances at TCAN. 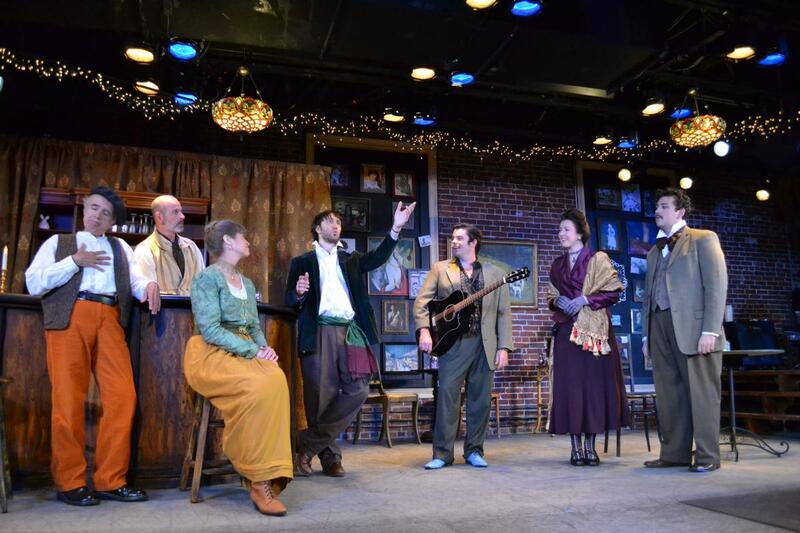 The award-winning TCAN Players produce dramas, comedies, and musicals with a wide range of themes, presented three times each year at The Center for Arts in Natick. Since their pilot production of 12 Angry Men in 2001, the TCAN Players have established themselves as a leading community theater company in Metrowest Boston. Under the direction of Faye Harrington, the Players have provided a variety of high-quality theatrical vehicles in the TCAN performance space ranging from comedies such as Run for Your Wife and Funny Money, and musicals such as Forever Plaid and Company, to the high drama of Doubt and the award-winning A Piece of My Heart. The Players attract cast, crew, producers and directors from the entire greater Boston area. In a supportive atmosphere of encouragement, talent from within the community works to advance the growth of dramatic arts while striving for excellence. Productions are staged two to three times a year. Join us - on stage or somewhere behind the scenes - perhaps both. No previous theater experience is necessary, just a love of dramatic arts and a willingness to learn. Watch for audition notices and details about upcoming shows. Registration: TCAN Players is a community theater program that welcomes participation by everyone. Even if you are not cast for an "on-stage" role, there are many backstage jobs where we can use your skills and talents. Check the TCAN Players audition page for upcoming productions. Contact Faye Harrington, TCAN Players Producer through the TCAN Feedback page. Click here to see profiles of the TCAN Players Board of Directors.